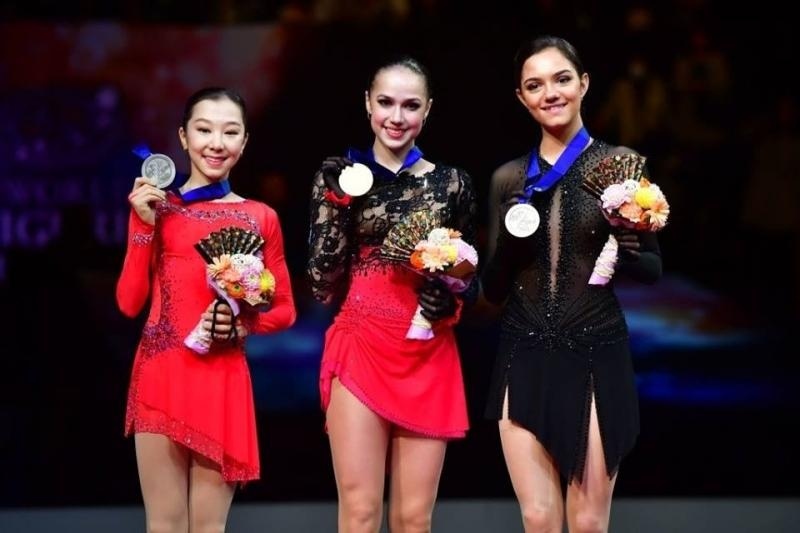 AKIPRESS.COM - Olympic champion Alina Zagitova won the free skate to capture her first title at the figure skating world championships on Friday. Skating to “Carmen,” the 16-year-old Russian built on her lead from the short program with a strong free skate that included a triple-lutz, triple-toeloop combination in the first half of her program. She added five more triple jumps to finish with 237.50 points, Washington Post reports. Japan’s Rika Kihira moved up from seventh place to finish fourth. Kihira opened with a triple axel-triple toe loop combination in her program to the “Beautiful Storm.” But she missed her landing on her second triple axel.